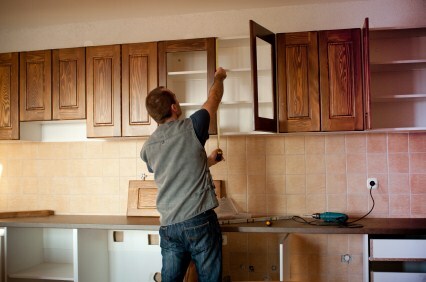 Are you looking for a quality remodeling contractor to install kitchen cabinets in your home or office building? For extensive choices in colors and styles and unparalleled craftsmanship, choose the cabinet installers at All City Construction and Remodeling. For over 20 years, All City Construction and Remodeling has installed cabinets in area kitchens, dining areas and bathrooms with both skill and professionalism. We offer free on-site consultations and competitive pricing. Simply call (310) 504-2231 for a quote t oday. All City Construction and Remodeling has become established an area leader in kitchen cabinet installations. Call (310) 504-2231 today to schedule a free, in hom consultation and we will arrive to your home on time and armed with a huge selection of styles and options. We will take a look at your home's current architecture and style and recommend kitchen cabinets that will reflect your personality. Choose from painted or stained, plain or elaborate wood, modern or rustic. When you call All City Construction and Remodeling to install kitchen cabinets, the toughest part will be in choosing the style. Scheduling the work and finding an affordable solution will be simple! A dated bathroom can take on a whole new look simply by installing new cabinets and changing the accents. You'll be amazed at how quickly and simply All City Construction and Remodeling can transform your bathroom. Choose from stained or painted cabinets in a variety of styles and colors. Then add new towels in complimentary colors and, voila! A newly updated bathroom at an affordable price. Call (310) 504-2231 for pricing on bathroom cabinet installation.